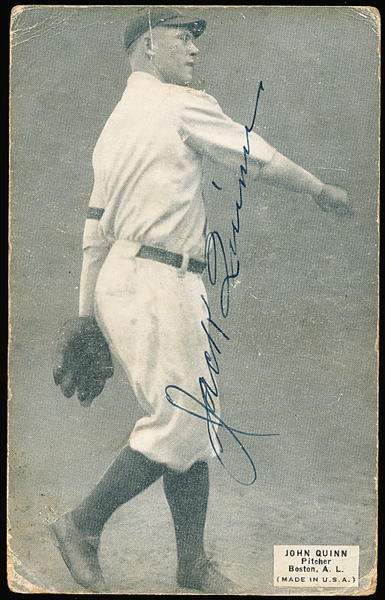 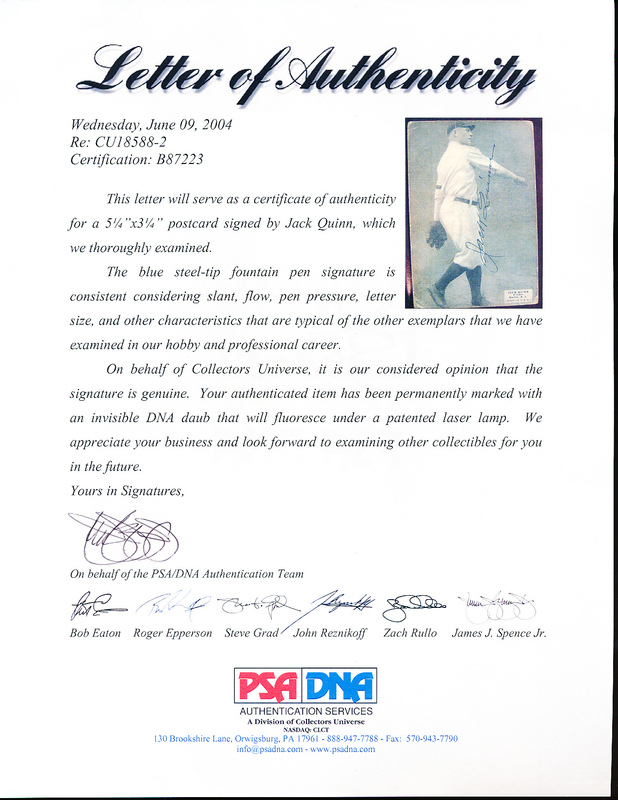 1925 Baseball Exhibit Card- John Quinn, Pitcher Boston A.L- Autographed on Front- Nice blue ballpoint signature on front with a full letter from PSA/DNA. 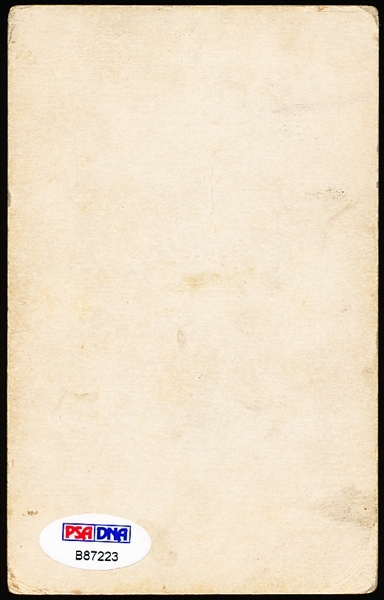 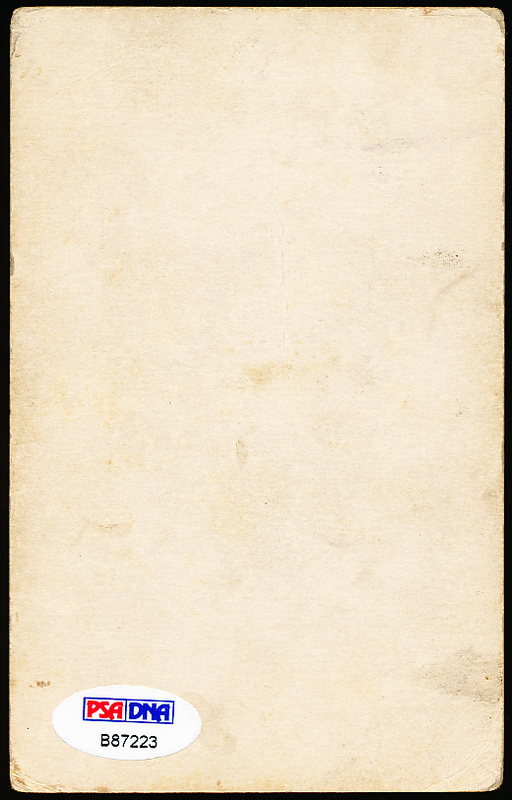 Card itself is g-vg with corner creases- Died in 1946. John Quinn played 23 years in the majors and played until he was 50 and won 247 major league games over his career!